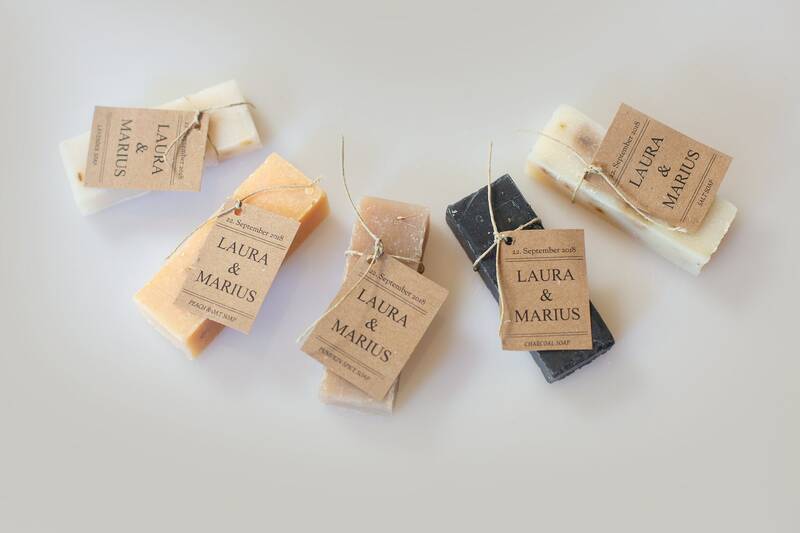 These beautiful PERSONALIZED SOAP PARTY FAVORS are rustic, earthy and gorgeous! 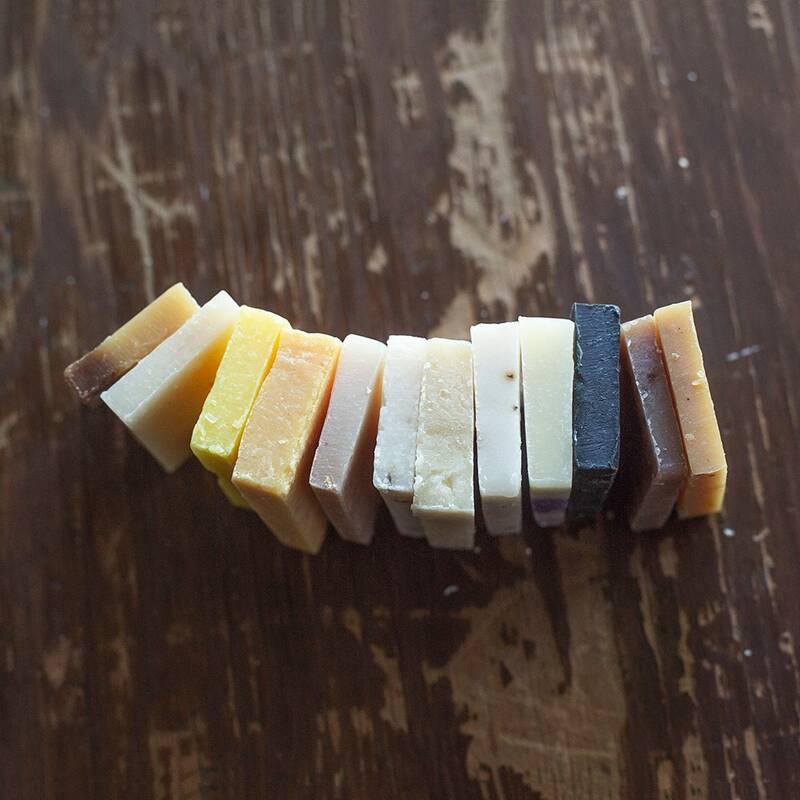 Our handmade soap favors are the perfect finishing touch for your guests and can be customized with your event details. 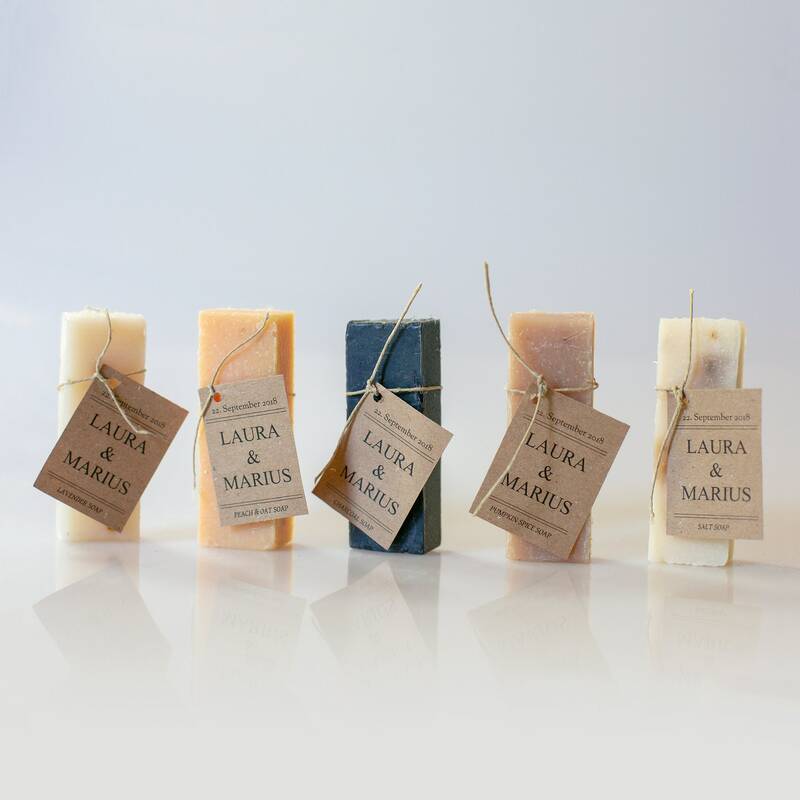 They make wonderful wedding favors, bridal shower favors, baby shower favors, hotel or guest soaps, even print with your logo for promotional items that your clients will love. Each bar is handcrafted and hand cut making them perfectly unique. 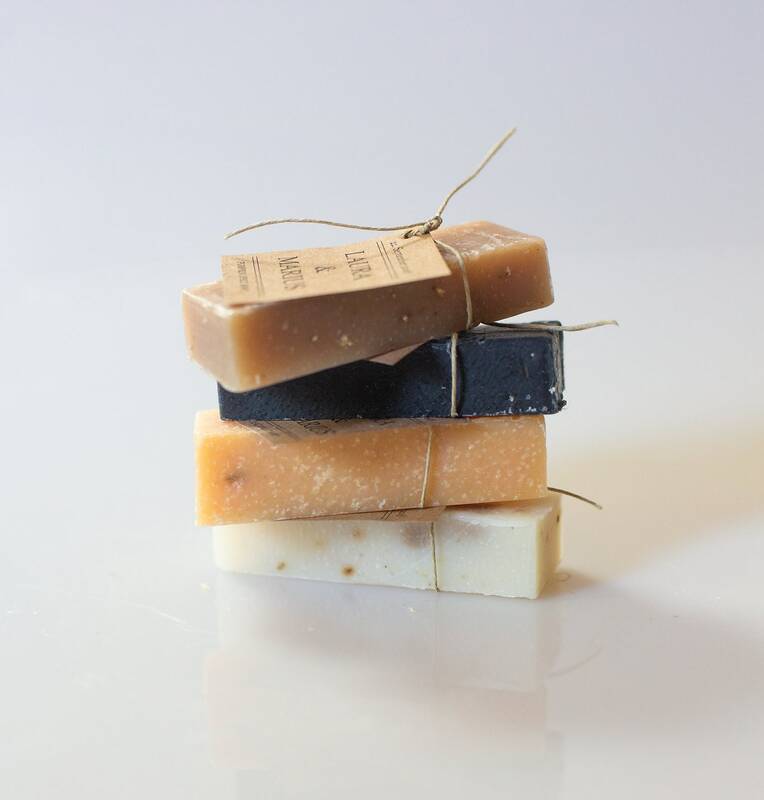 If you'd like to customize the soap wrap with different artwork or a custom design, we generally do not charge if the design concept is simple, however more complex designs may require a design fee. You are welcome to send us your files if you have your own artwork file or logo. Please contact me for any special requests or a custom quote. 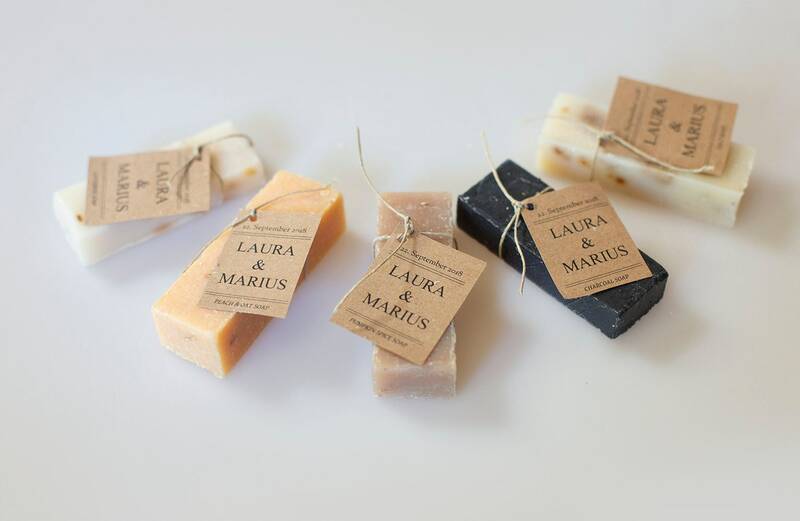 I really liked these soaps, and so did everyone at the bridal shower. The scents were great. I received my order in plenty of time for the shower. Even after a small “glitch” when my order was received, Lacey at leboxboutique was more than accommodating in taking care of it. I was more than pleased with her service, and would highly recommend her product and the boutique. Thanks again Lacey!! I ordered these as a wedding favor for my upcoming wedding, and they're exactly what I was hoping for. These make for very unique favors, and they're an excellent value for budge conscious hosts. They were also shipped and arrived very quickly, which I especially appreciated as I took longer than I should have to decide on a favor. Soaps are great! I'm sure all the girls at our Christmas party will love them. Shipped on time. Everything perfect!